I feel tender this holiday season, partly from the aforementioned chaos. Partly from the Christmas version of “busy” that tries to bully its way in all around me. 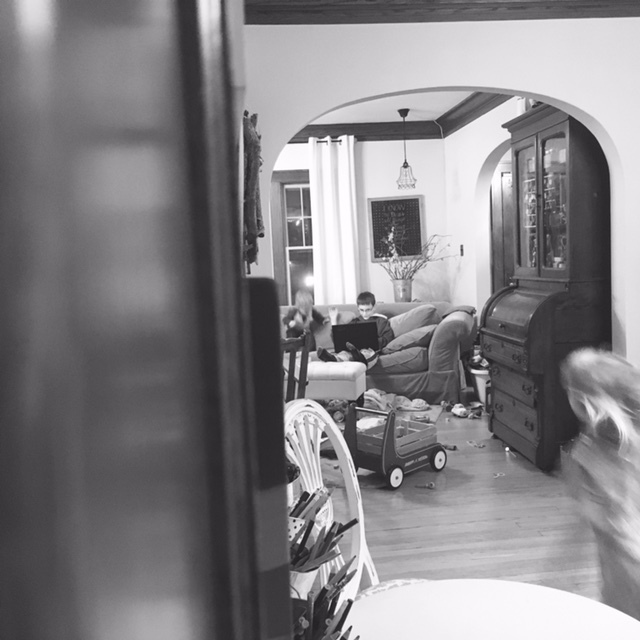 And partly, we’re staring down the barrel of some struggles with one of our kiddos, and every moment of every day feels tenuous, like the other shoe could drop at any moment. It’s exhausting and I’m full of self-doubt and fear over the possible implications of even my tiniest mistake. I’m mulling over how to share more about that in the future, because I know we’re not the only ones and I know how much healing strength and wisdom can be found in openness. But I’m also ferociously cautious about protecting dignity and letting my children own–and have ownership over sharing–their stories, and I don’t know how to tell my part of the story without sharing too much of theirs. So. There’s that, which is neither fun nor where I wanted to be this year. I long for the holidays every year–the songs, the cheer, the gatherings, the food, the love, all wrapped up in the hope of fresh beginnings. I relish knowing that celebration is ubiquitous, that I am joining with people all across the world, from various backgrounds, religions, and perspectives, to focus on family, gratitude, generosity, and hope we find amidst all the end-of-year holidays. I just love it all so much, and I want it to be just as magical for my kids. 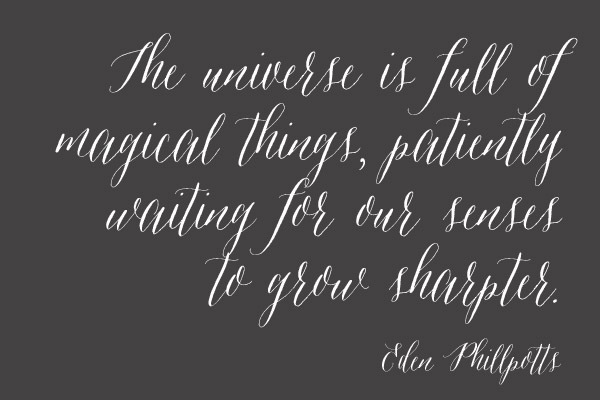 But when you start these weeks feeling tender and overwhelmed, it makes it hard to spread the magic, let alone feel it yourself. I like these. This is what I want for every December. Every month, really. My list was laughable, really. I just kept adding to it! Not one thing on the list was bad, but it was easy to see that if I expected myself to do all those things and allowed myself to take up FOMO guilt (aka fear of missing out) if I skipped some, there’d be no way I could embody my values of savoring and rest over the next several week, let alone juggle the regular, non-holiday issues of sibling bickering, general defiance, and constant laundry. The question is do I want to show up to December 25, exhausted children in tow, kicking and screaming behind me, knowing I’d crammed every minute full of holiday cheer? Or do I want to wake up on Christmas morning and feel the tiniest spark of margin? It dawned on me after this list-making exercise that my boundaries and limitations, as annoying as they can be, are also opportunities. Take my finances. Do I wish I had more money to spend on my tween now that his likes and hobbies are more expensive? For sure! But it is what it is, so I can either fret about it or lean into the opportunity to gift creatively. 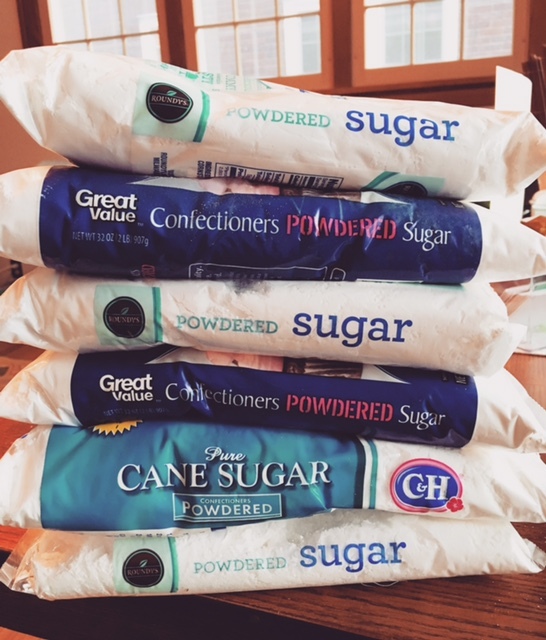 Don’t have time for holiday baking? Bummer! And…fewer calories to burn off come January 2. Calendar overwhelmed with too many opportunities and not enough energy? I hate saying no, but saying no gives me the opportunity to deepen my ability to savor the simple moments I’m protecting for myself and my family. And for the things that can’t be changed, the weeks packed full of non-negotiable meetings and events and concerts and parties, I’m trying to channel a sense of rest and joy internally, even if my external circumstances aren’t entirely in my control. We’ve been trying to drill this into our kids lately–approach your problems with a positive attitude! I might as well start taking some of that to heart myself. Whenever I’m disappointed at having to skip something good or miss out on something I’ve been wanting to do–which happened as recently as this morning when I realized we were not, in fact, going to get to go to Chicago to look at the Christmas lights like I’ve been trying to do for 3 years now– I try to look at the opportunities being created instead. Does this give me more room to savor? Does this give me more opportunity for rest? Will it allow us to be more joyful rather than harried and cranky? It’s only December 9. We still have plenty of time to be intentional about our holiday experiences. 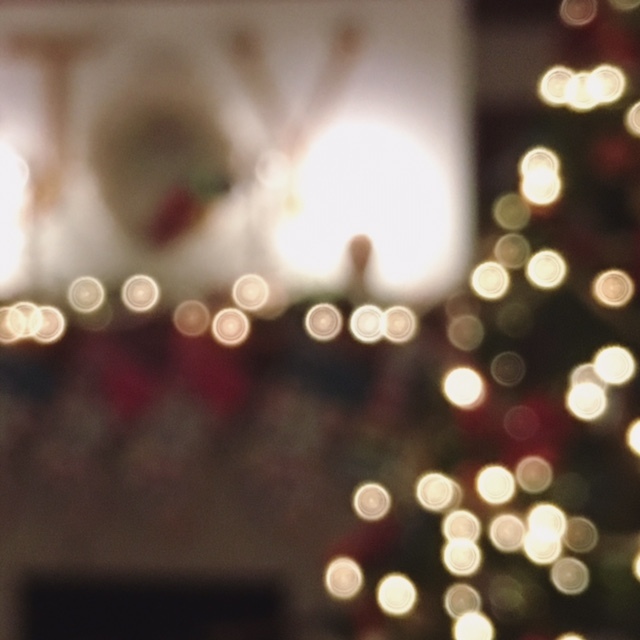 What are some of the words that describe the holiday experience you’re hoping to have with your family this season? Sometimes the smallest things can be the most delightful! Here are some of the things I’m loving right now – things that are making my life easier, richer, funnier, or just all-around better. 1. Podcasts || We drive a lot, so I listen to a lot of podcasts, I recently added a few to my repetoire and think they’re so much fun! 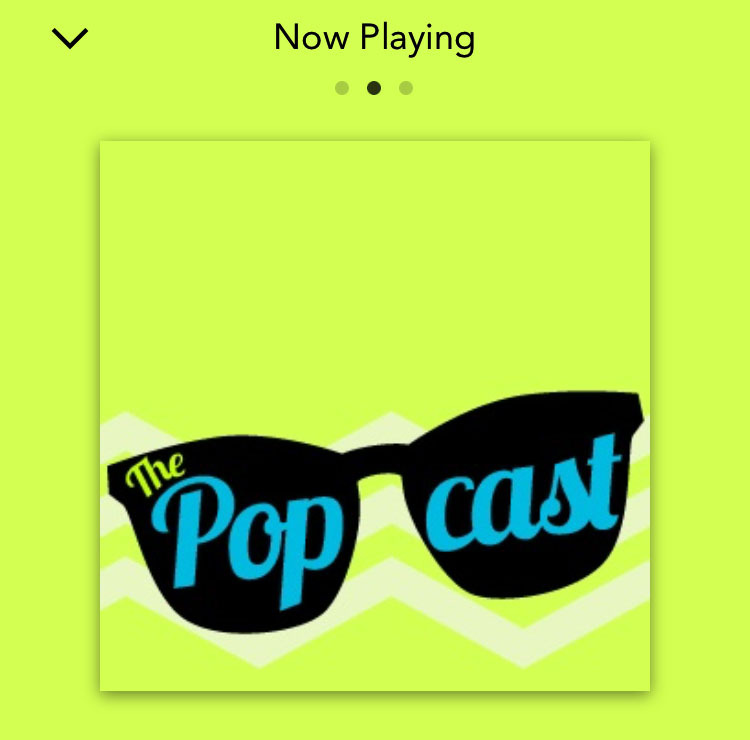 Popcast is an hourish-long pop culture show. It’s somewhat frivolous – I mean, it’s not like I need pop culture info to live my daily life. But it’s fun and makes me laugh and makes me feel like I’m at least a little bit “with it” in spite of the fact that I watch more Daniel Tiger and Toy Story than anything else. 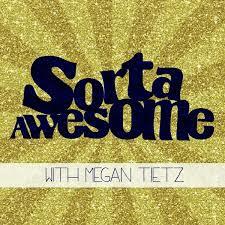 The other great show is Sorta Awesome with Megan Tietz. It’s a mix of fun, useful, motivating, informational, and important, and I feel happy when I listen to it. 3. 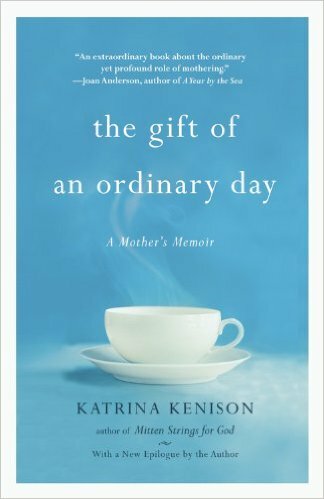 The Gift of an Ordinary Day || This book…I hardly know what to say! I borrowed it from the library and told Tahd I needed my own copy because I wanted to mark it up. A few days later and a surprise Amazon Prime package, and I had my own copy courtesy of a thoughtful husband. I love it so hard. I relate to it so much! In fact, I’ve had to set it aside for a while because it just hits so close to home, some of the painful parts that have me struggling right now. I know that last sentence doesn’t sound like a positive review, but it is. So much. Having someone write both frankly and beautifully about tender places we have in common…well, it feels so honest and life-giving. A definite must-read for moms. 4. 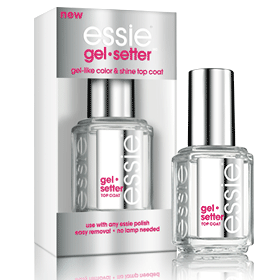 Essie Gel Setter || This stuff…I can’t even! I never paint my nails because…well, there’s not a lot of time, and when there’s just barely enough time, they always wind up smudged and chipped. On Friday, though, I had 3.5 spare minutes, and it seemed like a good idea to whip on some silver polish, so I did. I’d bought this top coat a few months ago and figured I’d throw some on top. First impressions? Super thick – not in a bad way, but just noticeable. And it made my polish seem to dry really fast, so that was a bonus! The next day, we decided it was time to work on the %@^* neverending patio. I really want to get it done before it snows, and the days was lovely enough that I just couldn’t beg off. I figured this manicure would be like every other – a bust within 24 hours. Especially since I was hauling bricks and digging in wet sand and gravel. 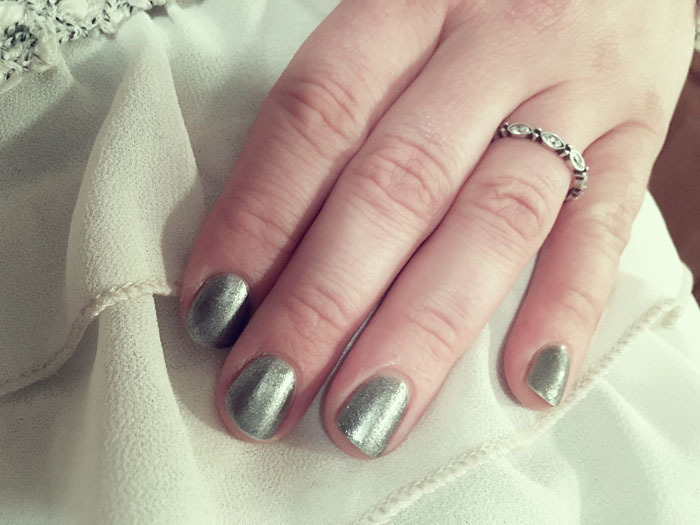 You guys, this is what my manicure looked like Saturday night. I can’t even believe it! There was hardly even a chip! It certainly isn’t perfect, but it doesn’t remotely look like I spent the whole afternoon doing light construction! Color me impressed. Very impressed! 5. FYI Decision app || Making decisions is not my favorite. There are just so many variables and when the stakes are high, sometimes it hard to weigh all the options and possibilities to arrive at a clear choice. I’ve been known to set up excel sheets with weighted scoring to try to help me figure out what I need to do. And then, I found this app. Honestly, it gets terrible reviews on iTunes, but I LOVE IT. It works the same way my brain works. First step, you name the decision. Then you set up the criteria by which you’re considering the options. Then you list the possible options and rate each option against each criterion. 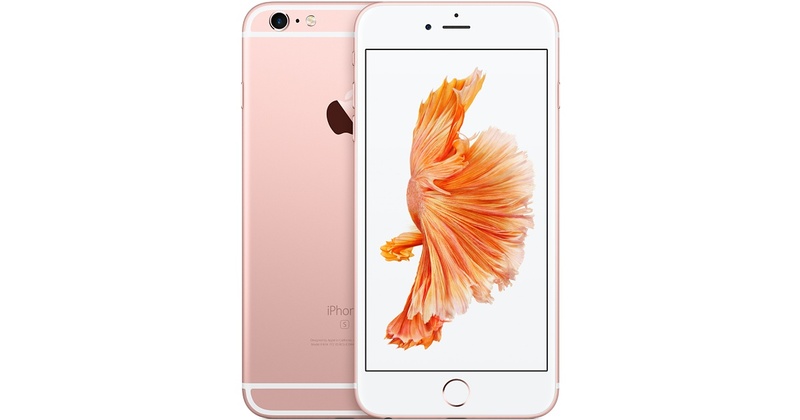 The app takes your entries and scores them so you wind up with a numerical calculation of your best decision. Finally, you can create a fancy little pdf printable with the touch of a button. I love fancy little pdf printables. Here’s an example I created. For the record, this isn’t a decision we’re currently making. We’ve talked about it in the past and decided against it. I just wanted to show a decision that had a bunch of criteria. 6. My library’s Overdrive app || Earlier this year (last year??) I learned that I could download a free app (Overdrive in my case) and hook it up to my public library account. I think I’ve mentioned this before, either here or on my personal blog. I borrow all sorts of books, including kids’ books for Gabe and audio books for the little kids. Life saver! But that’s not news, really, What is news is that our library recently started offering digital periodicals. They have all sorts of great titles (Eating Well, Rachael Ray, Martha Stewart, Reader’s Digest, HGTV, Yoga Journal–and a bunch Tahd likes that I don’t read). Tons of options! My library delivers periodicals through the free Barnes & Noble Nook app, and once you send a periodical to your Nook account, it stays in your account F O R E V E R. They never have to be returned! I do love me some magazines, especially this time of year around the holidays. 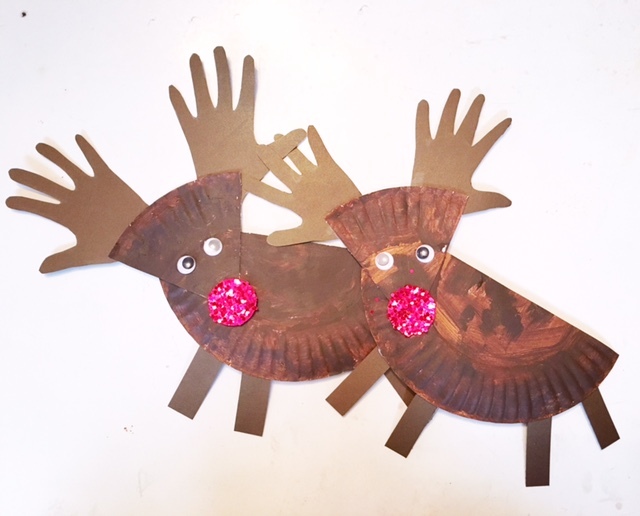 There are so many great recipes, decorating inspirations, and gift ideas! And I love that I don’t have to worry about losing the instructions when the lending period expires. BECAUSE IT NEVER DOES! So, there you have it–six things I’m loving right now. How about you? Is there anything (little or big) that’s making you smile? I wish I could do it all. I so wish I could do it all. But, of course, I can’t. So I make sacrifices. I sacrifice time to get caught up so we can do more extended bedtime routines. I sacrifice vacations and extras and financial freedom to stay at home. I sacrifice parenting ideals (hello, tv, I’m looking at you and how much you’re on) for sanity. I sacrifice a picked up house for home-cooked meals (at least that why I think the house winds up completely trashed by the end of the night even though it wasn’t so slammed during the day). 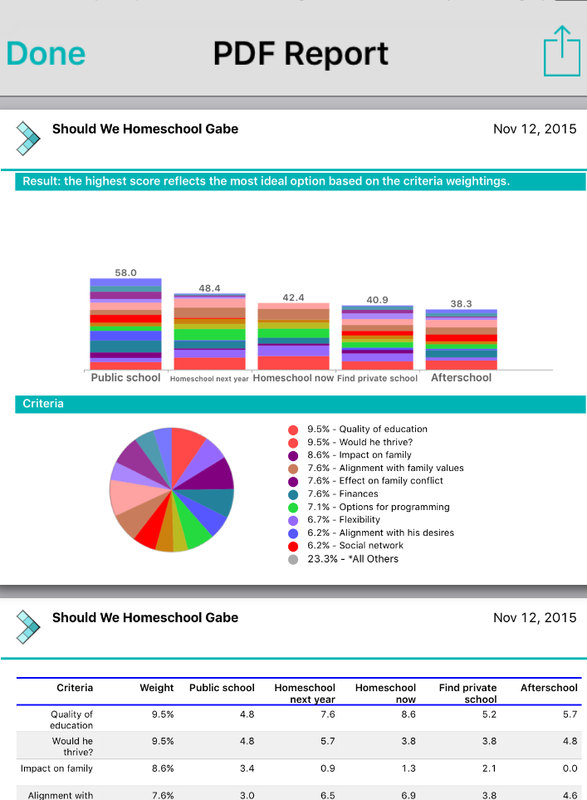 I sacrifice time so we can commute to take Gabe to a school that’s a better fit for him. These sacrifices don’t always feel good, but for one reason or another they feel right, or right for now, at least. Lately, though, I’ve been making some sacrifices that don’t feel as right to me. Take writing, for instance. I’ve sacrificed writing to allow more time for things that feel more pressing. Exercise is another. I can’t remember the last time I ran or did yoga. There’s a lot of inertia around these parts. It’s that way in several facets of life, each one an area that feeds my soul. I’m sacrificing the important for the urgent, which is sometimes unavoidable, but I’m not sure it makes a good lifestyle. I’m not sure how to carve a path back, though. Often, it feels more like I’m jumping from one fire to the next rather than intentionally ordering my days. Is it that way for everyone? I don’t know. I don’t want to live frantic, but I do want to make different sacrifices. I’m just not sure what should stay and what should go. I want to make the right sacrifices, the best sacrifices for me so I can dwell fully in these years of mothering littles (and a sort-of-maybe-I-can-admit-it-getting-kind-of-big kid, too). Nothing like telling you to come back tomorrow for Part 2 and then going AWOL for a week! <ahem> But, here it is…Part 2. We talked last time about some of the information that calls praise into question, but I said I’m not convinced that I want to fully eliminate praise from my repertoire of positive parenting. It seems to be an instinctive part of parenting! There’s also research that talks about the benefits of praise, and when I read that, my minds end up swirling. 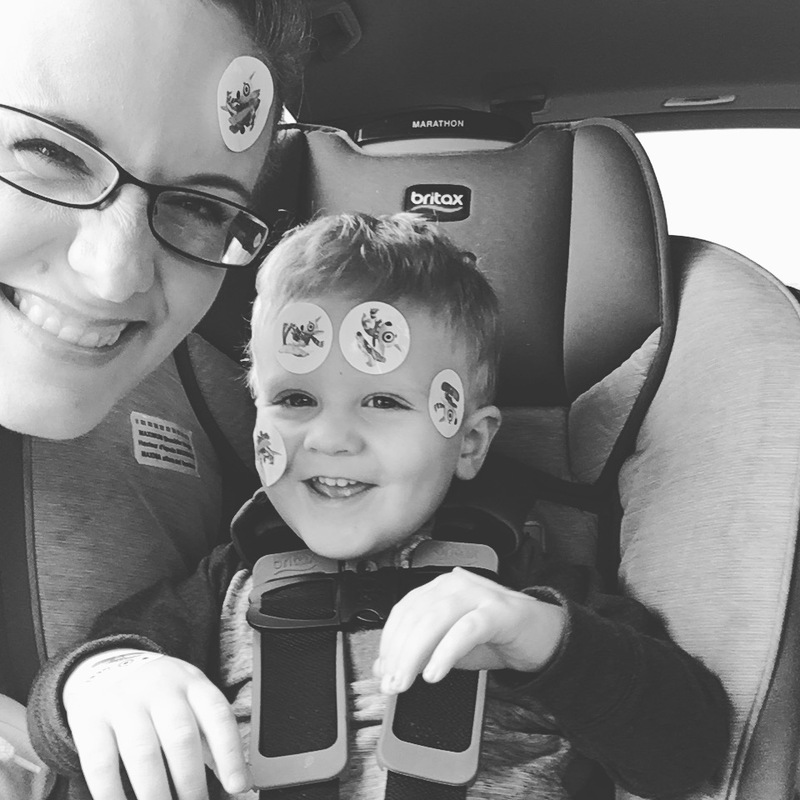 Don’t praise…praise more…what’s a parent supposed to do? Don’t praise for being || I try hard not to let the bulk of my positive conversations for my kids revolve around things they are. “You’re so pretty!” or “You’re so smart!” don’t really tap into the powerful side of praise. They’re passive and conditional. There may come a day when your child is no longer pretty or smart or fast or energetic. Of course, you know this wouldn’t impact your love for them one bit. But if they’ve built their security of identity and relationship with you around these areas, it places their identity and relationship with you in jeopardy, at least in their minds. I love to watch you play! || I read this article several years back, and it turned my whole perspective on praise on its ears. I love the way Rachel Macy Stafford applies this to more general aspects of parenting over here. There is so much value in suspending all judgment and just talking with our children about how much we delight in seeing them, hearing them, or experiencing them in their lives. Do any of us really want anything more fundamental than that? We want to be seen and we want to be loved. This is such a simple and powerful way to engage positively with our children. If a child does something caring or generous, you might gently draw his attention to the effect of his action on the other person: “Look at Abigail’s face! She seems pretty happy now that you gave her some of your snack.” This is completely different from praise, where the emphasis is on how you feel about her sharing. For more information about this, our counselor has suggested we read the book Mindset by Carol Dweck. I’ve only skimmed a bit of it so I can’t say this is a first-hand recommendation, but our counselor says good things so I’m passing it along to you while I add it to my giant to-read pile. 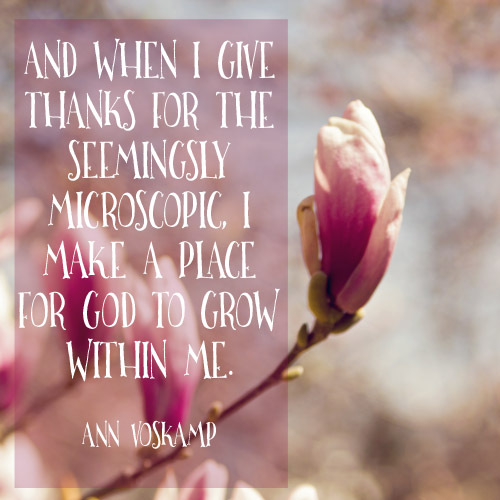 I’m curious to know…How do you approach praise in your family? Have you tried to implement positive alternatives to traditional praise? Have you read this? It made the rounds on Facebook earlier this year. There are other versions of it based on different data sets, too. Over and over again. Stop praising your children. The first time I came across this idea, I bristled. What??? Parents should praise their children? I mean, I know I grew up in the era of self-esteem, but what the heck is the matter with praise? I want my children to be happy, secure, and proud of who they are. I want them to be absolutely certain I believe in them. Praise seems like a necessary tool in the arsenal. Praise passes judgment. When we say, “Cool drawing!” it means there are uncool drawings, too. This, of course, is true, and I’m not suggesting children should be made to feel as though everything they do is gold. But praise and love are closely intertwined, especially in the simplistic minds of a child. While you know your love for your child doesn’t change when he colors all over the page and outside the lines, this isn’t necessarily apparent to children, especially younger ones. Praise can be insincere. When you say that drawing is the best drawing you’ve ever seen or your child is the smartest? They know it’s not true. They know there are better drawings and smarter people and faster runners and lovelier singers. Which means one of two things for your child–either you have terrible judgment or you’re lying, neither of which makes you particularly trustworthy in their eyes. That said, I’m not sure I’m ready to embrace entirely praise-free parenting. Tomorrow we’ll talk about ways to foster positive interactions without going heavy on the praise. Until then, what do you think about praise? Is it a positive force in parenting or does it do more harm than good. Who are your favorite people to be around? I know they’ve had struggles. Things haven’t gone perfectly with their children or their husbands. They don’t have it all together and they’ve experienced loss and grief deeply. But as I watch them, I’m always struck at how they approach their life, even its struggles, with a positive, hopeful outlook. I feel light when I’m around them and I come away feeling restored and energized. Their happiness is infectious. Are you happy around your children? I know I’m often not. Exhausted, grumpy, and anxious might be fairer ways to identify my moods. When I have to spend time with exhausted, grumpy, or anxious people, I know I don’t enjoy it. Why on earth would I think my kids would feel otherwise about being around me when I’m in those moods? I don’t expect to be my children’s favorite person to hang out with, and I do want my home to be a safe place for everyone (me included) to let our hair down and experience all the emotions, even if they’re negative. But if I’m not careful, my negative moods can beget more negativity in me, negativity which can put off everyone around me, my children included. On our way home from dinner last night, we stopped at Michael’s so I could pick up supplies for a Christmas project. On my way out of the store, I could see Jude eyeing me, and I indulged my silly streak and ran toward the car, waving my arms wildly. I’m sure anyone else in the parking lot thought I was crazy, but he thought I was silly and happy and he smiled. That was a win in my book. 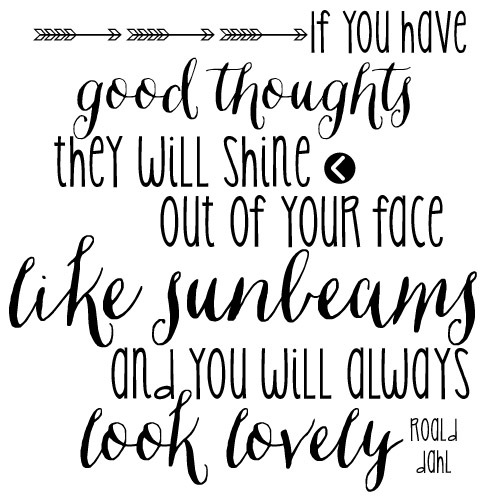 Here’s to capitalizing on happy this week and choosing the bright outlook even when things seem hard. “How’d your day go?” I asked as he climbed into the car over the mountain of chaos and toys strewn through our backseat. There was no time for eye contact, the steady gaze of the pick-up line attendant nearly glaring at me with each passing second it took me to pull out of the lot. A grunt and a groan was all I got for a response to my question, the depth of my curiosity met by equal parts apathy and irritation on his part. I’m never quite sure how to play the after-school-question time. I want to know everything. He wants to tell nothing. So it’s a dance, one in which I have my own agenda but I try to let him lead. Truly, we’re horrible at the dance! What I want more than anything is to know my kids, and for them to know me as a soft place to land. But when I force it (and, oh! How I’ve tried! ), it backfires on everyone, and we wind up being more disconnected than when I started. I’ve experimented with various approaches–asking specific questions, asking unexpected questions, asking no questions and waiting for him to take the lead. Eventually, I came to realize that the time immediately after school is not the best time to get information from Gabe. I’m curious and excited and eager, but he’s tired and agitated and needs a chance to let his hair down. So I’ve resorted to asking the very basic, “How was your day,” mostly as a greeting, with no expectations, and I try to give him a little space. I’ve had to let go of how I thought it should work and find a way to make it work for real. The answer lay a little bit in having the right time and the right routine. The right time for us? Dinner. We typically eat dinner around the table as a family and have several conversation starters through which we rotate. 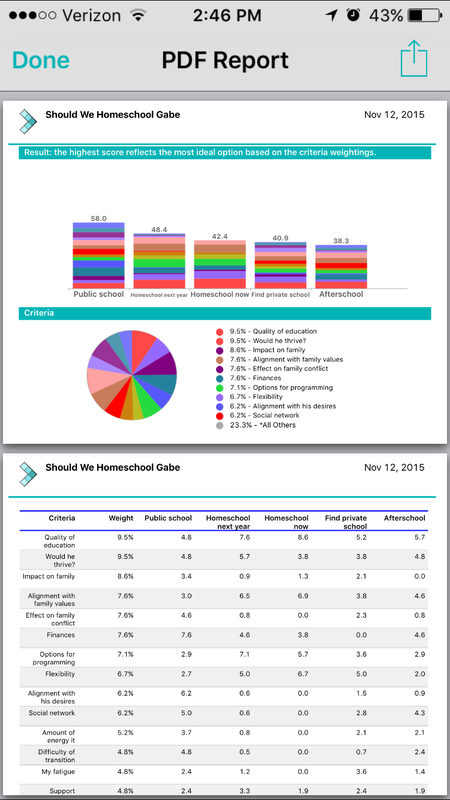 Usually, it’s sharing highs and lows, but we also have several boxes of premade discussion questions. Our car ride to school and bedtime are other times for built-in connection, albeit not as consistently. On our ride to school, we can sometimes be found sharing gratitudes or things we appreciate about each other (we do this especially when we’ve had a bad morning), and bedtime, with Gabe and Isla’s penchant to stall, is a wonderful time for open-ended talking. Our connection times are pretty common–before school, before bed, and at meals. Yours could be entirely different. 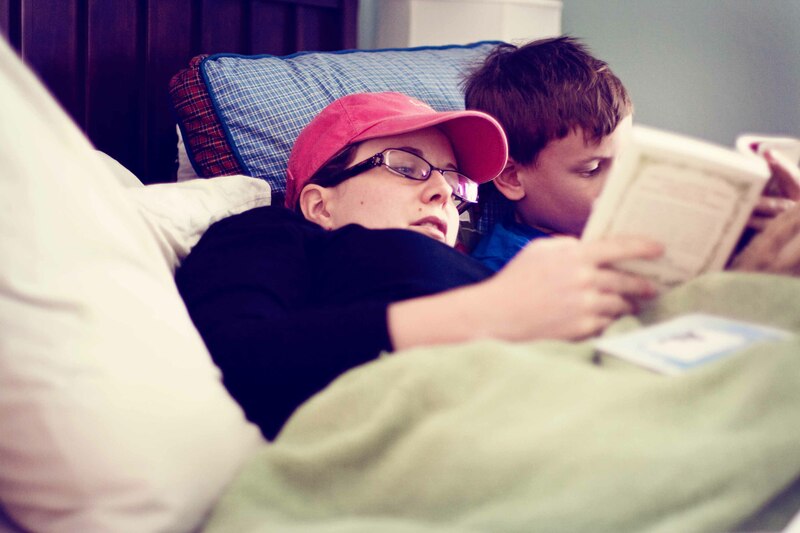 Maybe your kids are talkative after school, or perhaps you snuggle in bed in the morning before the day fully starts. Maybe you have a weekly family meeting or you and your child like to grocery shop together. Then, think about the kinds of conversations you want to have and what type of questions and routines you could incorporate to build the habit. I was going to create a printable with collection of conversation starters, but the more I looked around online, the more I realized they’re already out there! Why reinvent the wheel, right? So here are three of my favorite collections–creative conversations starters to help foster connection with your kiddos. If you try out any, let me know how you enjoy them! I’m pretty sure my head is set on a swivel, at least as far as my firstborn is concerned. Four steps this way, four steps back again, all the while gesticulating wildly while proclaiming the minutiae of his latest creation in Minecraft or invention of a recess game. Not being even fractionally as invested in any of said details, I sit in front of him until I suddenly realize I have no idea what he’s saying because I’ve fallen into meal-planning or thinking about tomorrow or worrying about something in the future…or even just daydreaming about the latest book I’m reading (Truth and Beauty by Ann Patchett, an excellent read, in case you’re interested). 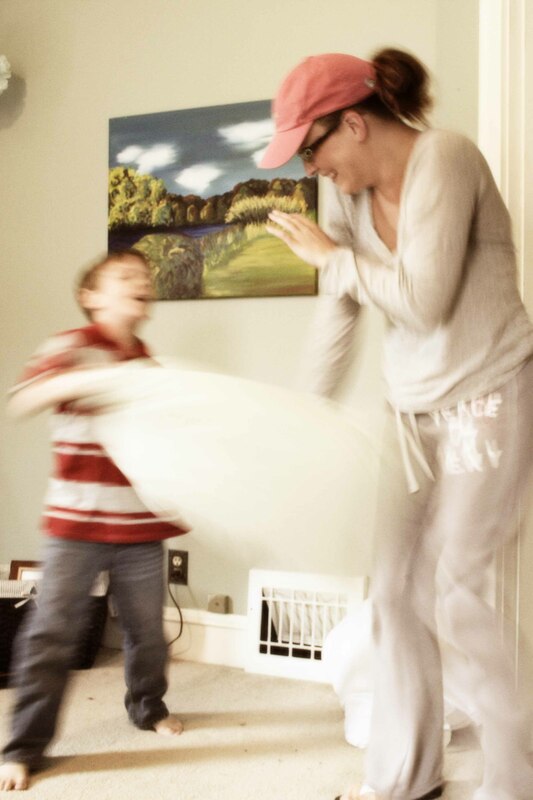 Being an engaged mother is the ultimate moment-by-moment practice. It’s saying to my children, “I’m with you, right here and right now. All of me. You’re worth it.” There’s nothing I want more as a mother than to build that sense of worthiness–and the security and confidence that comes from it–into them. The good news is the ability to live in the present is a skill that can be developed. I know this not because I’ve had great success in this regard, but because when we were deep in the throes of infertility, my counselor told me so. Basically, you can skip that session of counseling, and I just saved you $150. You’re welcome! Research demonstrates that mindfulness practices improve attention, decrease rumination, and enhance our emotional intelligence. Mindfulness is associated with lower rates of depression, decreased stress arousal, and improved high blood pressure. It even appears mindfulness slows down a portion of the biological aging process, telomere shortening, which sounds like a horridly boring scientific concept, but was introduced beautifully in this episode of On Being about stem cells where Krista Tippett interviews Dr. Doris Taylor. Mindfulness is the silver bullet if you want to improve your ability to stay present in the moment. Practice Gratitude || popular culture is full of references to the power of gratitude, but scientific studies support many of those notable claims. Being thankful for what I have brings me back to the current moment because it makes me take stock of the present; while I’m observing the good things from the present, it’s much harder for me to stew over the past or fret about the future. Engage Your Senses || the enticement of a fresh-baked loaf of bread, the chill of a cold lake dancing around your hot summer ankles, magic of a rainbow stretched wide and bright across a storm-laden sky. Nothing can snap me into the present like a compelling sensory experience. This summer, I read about walking meditations, and I experimented with them myself and with the kids while we walked. Isla likes color ones. While we walk, we go through the colors of the rainbow, finding something around us for each color–a red stop sign, an orange flower, a yellow line painted on the street. More challenging for me was the sensory one, where I assign myself a number and work my way through the senses, finding that many things in each sense category– say, three sights I can see/hear/smell/touch/taste. Create Something || It was a trick I learned during the throes of infertility, the gist being that childbearing is one of a woman’s ultimate forms of creativity, and when that creativity is squelched, tremendous heartache ensues. While many women try to manage the pain by forcing the outcome with various fertility treatments, tapping into that creative energy in other avenues can channel some of the struggle more positively. I can’t remember where I read it, but the thought resonated with me, so I dreamed up some small creative projects, took a trip to Hobby Lobby for supplies, and started creating. I think my first project was a wreath? And that wreath, oh! How it helped! I don’t believe creative projects healed my infertility, but I do know that engaging in creative projects freed up some emotional space in me that was otherwise congested by longing and hopelessness. Along the way, I found that I entered a rejuvenating state of flow while I was doing them, fully present with the tiny details, an immersive sensory experience. You don’t have to make wreaths; perhaps creativity to you is an artfully prepared meal full of compelling and thoughtful flavor combinations. 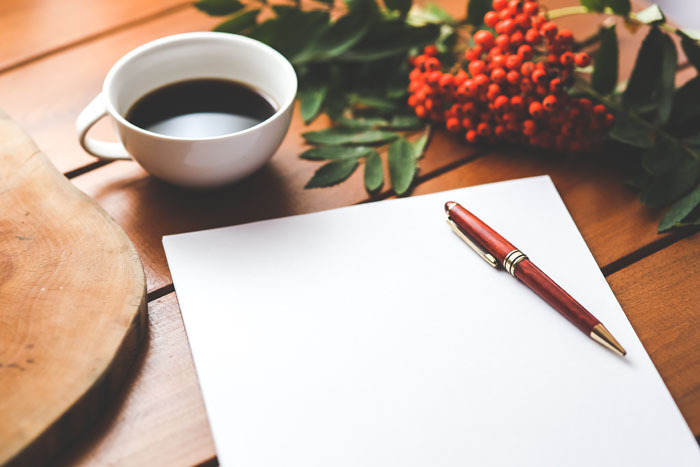 Maybe you delight in a carefully worded short story or handwritten note. Perhaps your art is the way you organize and work with numbers. Whatever it is, tapping into that creativity can open up space in your mind for the charms of the present. How about you? If you try one of these, let me know how it goes! 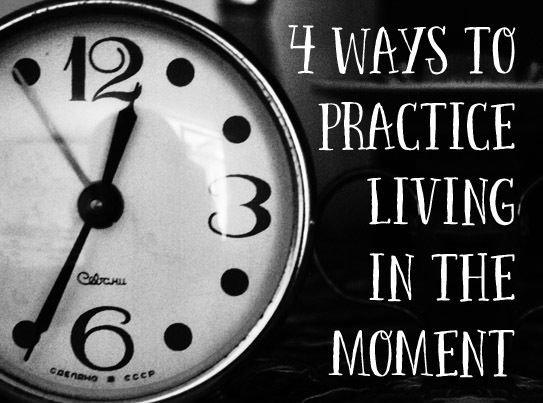 Do you feel like it improved your ability to stay present in the moment? Do your kids like photos? Mine love photos–of themselves, of course! 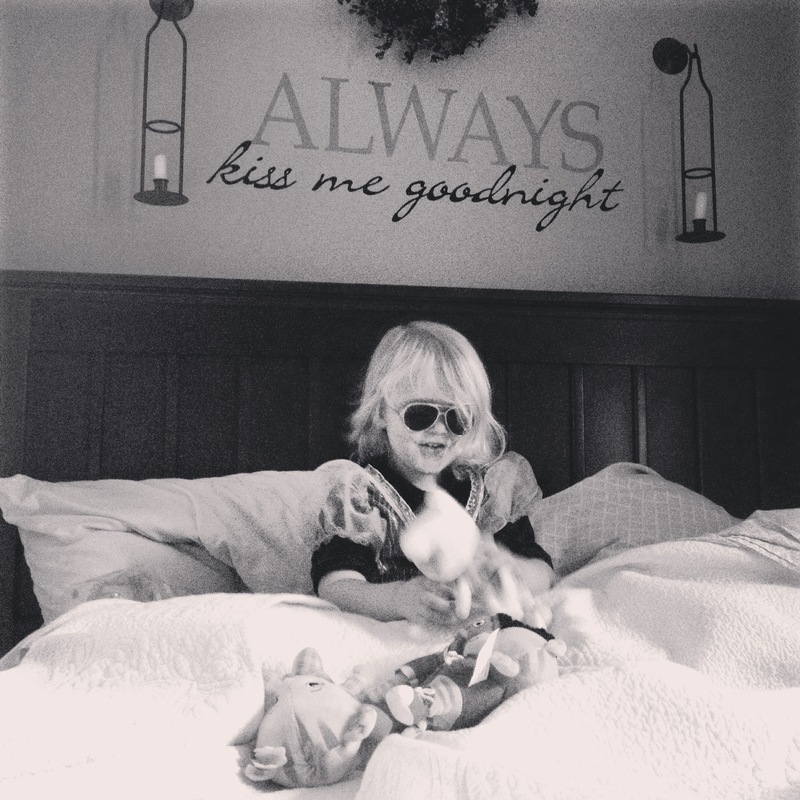 Lately I’ve been snuggling in bed at night with Isla while she goes to sleep, and her favorite way to pass the time…”Mommy, show me pictures of Isla!” So I dig up my Instagram feed and scroll back through pictures I’ve come to love and ones I’ve forgotten were there. Her current favorite? 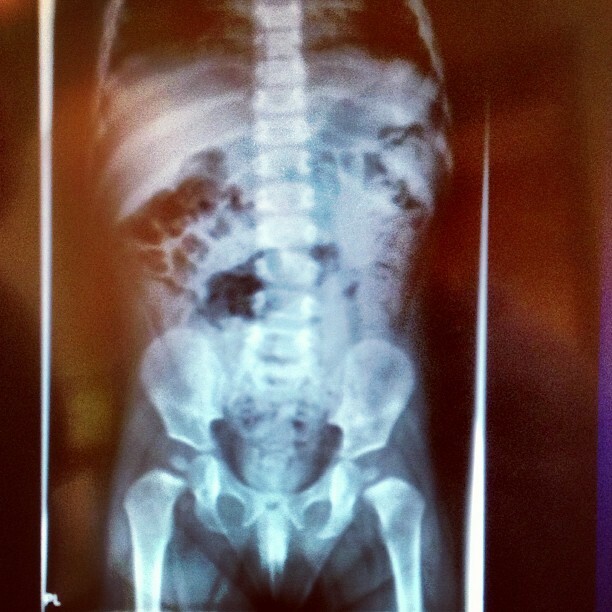 A two-year-old picture of an abdominal x-ray she had done after she swallowed two travel-size chess pieces that had magnets in their bases. Most expensive toy we’ve ever owned, that chess set! An ER visit, a doctor’s visit, and two x-rays later and she’s fine, but I am decidedly poorer! We look at the belly, the hips, the ribs, the legs, the spine…Every time I point out the same things, tell the same story. And every day, she asks again. Jude is the same, except with pictures of his cousin. Mem-mem, Mem-mem, MEM-MEM!!! (i.e. his name is Bentley, in case you don’t speak toddler). We look for pictures of Cousin everywhere! My texts, my Instagram, Uncle’s Youtube, all our family’s Facebooks…All my kids love Bentley, but Jude looooovvveeesss Bentley, making my auntie heart very happy! 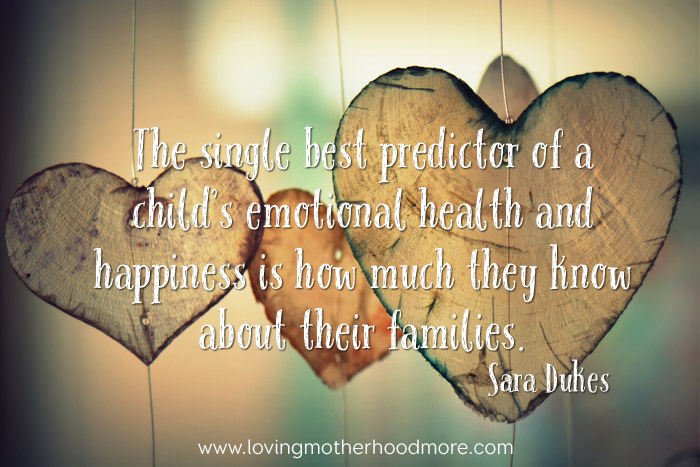 The single best predictor of a child’s emotional health and happiness is how much they know about their families. Dig out the family photos. Unearth old home movies. Polish off the family stories. Maybe take a trip to show your children where you came from, or even their grandparents. Passing down your family’s stories is more than just a fun way to spend an hour or an evening–it’s a pivotal connection point in which you make an investment in your children’s long-term happiness and well-being. I thought I had gotten away with it. Or, rather without it. Playing, that is. When Gabe was little, over and over again he’d ask about playing. And I did play with him…some. But playing with him was hard for me. First, he’s a boy, and I’m a girl who grew up with no brothers. Cars? Fighting? Chase? I do not understand any of these things! Second, give me an objective and I can play all day. Well, maybe not all day, but I can do it. Board games–even the dreaded Candyland! I like having objectives. Gabe, however, did not. You’d have to have played with him to fully understand, but he either has no objective, or (more likely) has a very complicated, off-label objective that has more rules than I could ever possibly remember. I used to joke that he’d spend longer telling me the rules than actually playing a game! Playing according to someone’s complicated and seemingly arbitrary rules is confusing, to say the least. Third, I was depressed and anxious. We were in the throes of infertility and miscarriage, and when we played, I had to be present–uncomfortably present, because slowing down to play child’s games took a pace just right to experience the ache of desire and the futility of hope. I tried to rally with reading. I really could have read all day to him, and we did read tons. But playing? Playing was not my forté. For as much as I wanted more children, I wasn’t super excited about repeating the “play with me” stage. But for three and a half years, Isla never asked! I’d read to her, cook with her, color and paint with her…but she never asked me to play. I started thinking I’d gotten away without it. Until recently. I knew I wanted to do a better job this time around. Luckily, I have a little more in common with her games since they’re ones I played when I was little (e.g. they involve fictional characters conversing with one another…no hitting/shooting/exploding/etc. ), and thankfully my emotional health is stronger than it was several years ago. I still don’t love open-ended play, but it’s not a form of torture anymore. Unfortunately for her, life with 3 children is much busier than it was when it was just Gabe, so there’s not always time to play. Even though I want to do better, she still asks a lot and I still find myself saying no frequently–often legitimate no’s, but no’s nonetheless. What if, this week, I made a point to seek out our children first and engage them in their things? What if, instead of waiting for her to ask, I said, “Hey, Isla? Want to play?” What if I asked Gabe to tell me about the next structure he’s hoping to build on Minecraft? What if we thought of the thing we often find ourselves saying “no” to and say yes before they even ask? I’m going to do that this week, hopefully at least a few times for each of them. I want them to know that I see them, not just in a physical sense, but that I see their passions and the things that make them excited and I want to meet them there and share those with them.